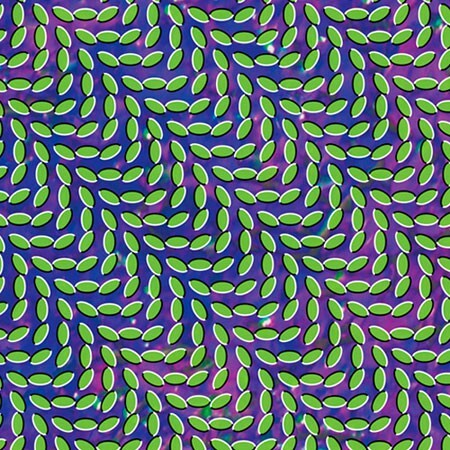 Is Merriweather Post Pavilion The Best Album Of 2009? From [opening thumper “In The Flowers”] forward, these stalwart innovators … elude all experimental-noise, freak-folk, and indie-rock tags, and create a startling, pounding, effulgent sonic template…. Call it searching for the perfect peak. Merriweather plays like the summation of a long, strange trip, combining the group’s career touchstones: harmonic Beach Boys pop, African tribal chants, minimalism, minimal techno, psychedelia, and dub. Pitchforkmedia.com went a little higher. Music obsessives talk a lot about originality– whether it’s important, or why having a new sound should or shouldn’t matter. In recent years, some fantastic albums have turned a number of people off for being retreads, which has sparked some interesting discussions. This album, which finds Animal Collective completely owning their unique sound, feels like the crucial next step in that conversation. What they’ve constructed here is a new kind of electronic pop– one which is machine-generated and revels in technology but is also deeply human, never drawing too much attention to its digital nature … Animal Collective have spent the decade following their own path, figuring out what their music is capable of while also working to bring more listeners into their world. On Merriweather Post Pavilion, their commitment has paid off tremendously. Beta and Richardson hit the beats right. It’s true that the peak moments come in the previously leaked “Brother Sport,” playing like a plea to a child to take her medicine as the sun comes up on a beachfront party, and the insanely catchy ode to domestic bliss “My Girls,” on which they even found a way to make Avey’s war cry a pinnacle pop moment. They’re giving license to sideliners to jump on board, but the rest of the record supports and expands those Posts with singularly conceived aural ticks, composition, and arrangement, cutting a deep swath through the mess of music competing for ears in ’09. It’s officially out tomorrow via Domino. Even if you have it already this one’s worth “owning,” if only as a drop in the tip jar. (Try the vinyl goodies.) But moreover: We’re only a week into the new year and already we have an album that demands and rewards repeat, complete listening. What album stands a chance of replacing this one at #1 of 2009? On the up side, we’ve got some 360 days to go. On the flip, Merriweather’s a masterstroke.